This is probably another of those posts where I’ve already kind of posted about in the past as part of another topic but I feel like it deserves its own post and it’s something that’s kind of relevant in my life at the moment. Sometimes it’s easy to fall into the trap of blaming every symptom you have on ME, I know in the past I have been guilty of this and when doctors tell you it’s all a part of your chronic illness this doesn’t help. I know I’ve been very lucky with doctors in general as every one I have seen at the surgery I go to believes in ME and has ideas on the treatments available. One of them said ‘Just because you have ME doesn’t mean you can’t have appendicitis’ which is maybe a bit if an odd statement but I totally agree and think it’s a great way of thinking about it and does stop you from just sticking every new symptom into that diagnosis of ME. If you have a new symptom or something that doesn’t fit with the ME that you have, let’s face it we all seem to be different and things that are everyday symptoms of ME for one person aren’t for another so it’s no wonder doctors get a bit confused over it sometimes, then be sure to mention it to a doctor, maybe push for tests. Even if they’re the same tests you had done five years ago or even six months ago if it’s a new symptom that’s appeared then it could be something​ that’s developed. I’ve had certain symptoms for years, they even landed me in hospital overnight eighteen months ago, and have had so many ultrasounds and scans done that came back as nothing but I had the same tests repeated and something showed up. I’m not going into too much detail as there’s blood tests and I have no idea what it is yet but it shows that, although every one of these symptoms could fit into my diagnosis of ME and IBS this is something new, at least it’s newly discovered (though saying that feels like it’s a new species or something in a nature programme) andtheres a way of treating it that will hopefully mean I don’t have all of these symptoms. Since having ME I have ended up being diagnosed with other things that effect my health, even things as simple as good intolerances, that could have just been dismissed as part of ME so it’s important to push and ask questions if something feels wrong for you. I’m not saying self diagnose with the internet, that can be dangerous, but do ask your GP about things. Here may be something that you didn’t mention that leads them to something new. For me know if the most frustrating things about ME is the fact that there is no treatment, or rather not cure, so it’s all a case of trial and error. So if there’s a blood test that can either rule in or out something that could be causing my symptoms then I’ll get it done. Even if, at one time, I was going in for blood tests every month or every couple of weeks. If there’s a possibility some of my symptoms are part of something else that can be treated then that means my body has less to deal with and my ME improves as a knock on effect. I know it can be hard, I know at times I’ve felt like I’m just wasting my GPs time if I keep going back for the same thing, but it can be worth it. If all the tests come back negative then maybe it is a fun new symptom of ME, they seem to pop up from time to time for me, but at least it ruled out the other options. Also, try to find a doctor who is prepared to keep pushing. As I said before, I’ve been lucky that all the GPs understand that ME is a physical illness as well as having a mental effect but some have fallen into that ‘it’s probably ME’ trap. If you can then get a second opinion and if you find a doctor who is willing to push for more tests then stick with them. Unluckily for me I seemed to go through a patch where my GP left a few months after i started seeing them so I saw quite a few at one time. I know it’s not always possible but getting into a waiting list for an ME clinic, if there’s one in your area, is something I would definitely recommend. You may have had ME for years and be able to pace yourself and control it, if that’s the right phrase, but ME specialists will have ideas on new trials and ideas that have come out or what symptoms could be, it was only when one near me mentioned POTS and postprandial hypoglycaemia that I knew what they were and that they can be common for people with ME but they were causing some of my problems with energy and since changing things and treating those aspects my ME in general has improved a bit. Sorry guys, this post got a bit longer than I meant it to and it might be a bit of a wall of text but I hope it helps someone​. Even if it’s just hearing someone else say, or read it, I find it reminds me to do things that I sort of forget so maybe this post might do that. I don’t know. Anyway, I hope you’re all as well as possible and had a good Easter weekend! Not sure this picture has anything to do with the post but I like it, and what do you put as a picture for these? 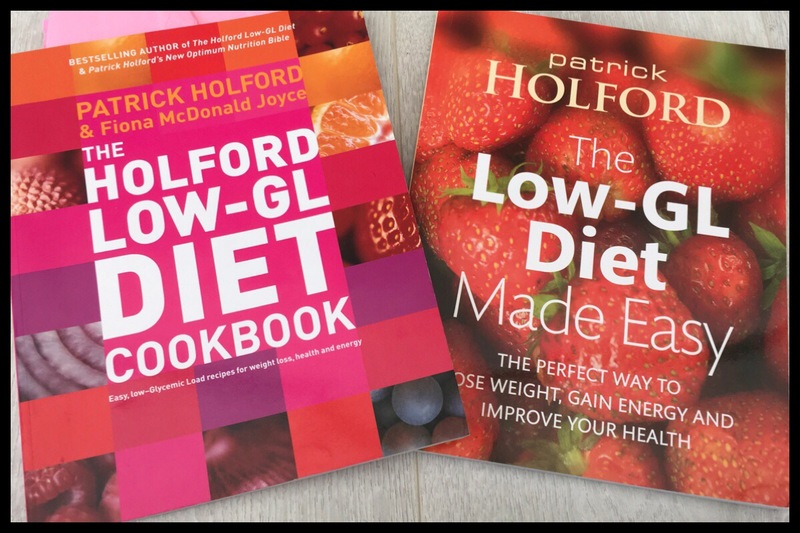 I started the Low-GL (Glycaemic Load) diet eight weeks ago, there’s a post with a bit more about it here if you want more information on what it actually is. I have to say that when I hear the word diet I automatically think of not being able to eat much, feeling hungry or avoiding carbs but I have not found that I missed anything in this diet. The main idea is to have the right proportions of a more carb heavy food, protein and a lot of low carb veg so it turns the carb into a more slow release sugar rather than having the peaks and lows that I was having before. I started this as it’s a bit of a different version of the Low-GI (Glycaemic Index) diet that was recommended by an ME specialist a couple of years ago. I tried Low GI and I just couldn’t work it out so ended up giving up as it didn’t seem to work but it may be more to do with me failing to get it right. With my ME one of the symptoms I have is post prandial hypoglycaemia, though I don’t have diabetes my blood sugar drops low a few hours after eating so this diet was recommended to even that out. Image from Honey Mellow Handmade so copyright to them, found on Google. 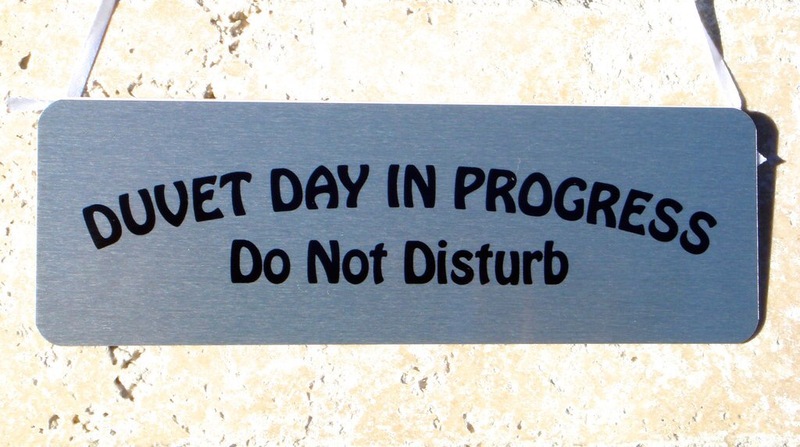 I quite like this sign, I’ll link it at the bottom of the post, I’m tempted to get one! That title sounds a bit depressing doesn’t it? I think it’s something that we’re taught from when we’re little, or maybe it’s a cultural thing, but we tend to keep going beyond when we should, push too far and not really know how to listen to our own bodies when they’re giving us the warning signs. I’m mainly writing this from a spoonie point of view but I think it’s something that people without a chronic illness need to learn, or remember, so this post is a bit of a friendly reminder as sometimes it takes someone else saying something for you to really acknowledge it. At least it took someone saying it to me for me to stop feeling guilty about it. As spoonies, people with a chronic illness, we tend to be forced to learn this lesson. A lot of us either don’t realise what we have or don’t get an official diagnosis until we’ve got to the point where we’re stuck in bed all the time. This means we often have already done the pushing beyond what we should as we didn’t realise that we should have stopped days, weeks or months ago and rested rather than pushing on and trying to do what we had always done.